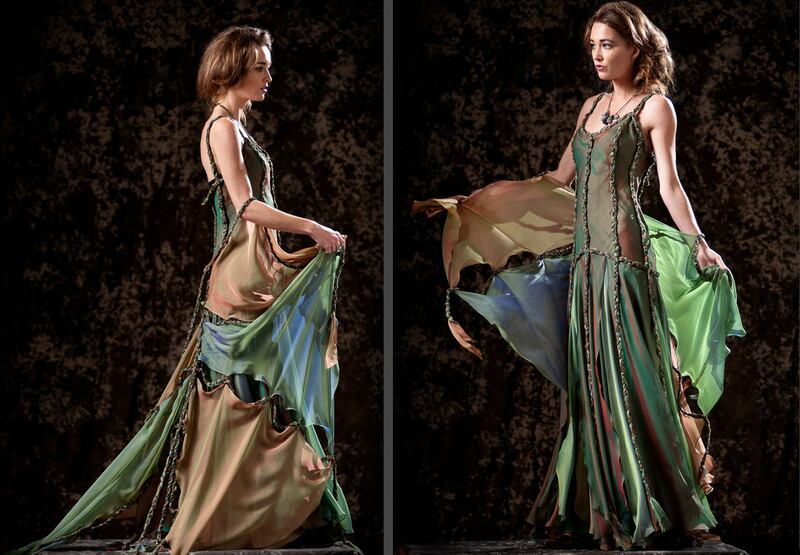 Release embodies the elegance of precisely cut and layered chiffons in vibrant greens, blues, purples and gold. Featuring a bias-draped princess seamed bodice atop 18-panel skirt. The bodice is connected by bias-cut braids woven with antique brass and turquoise beads.